Cannon date back to 1988 with Thunder & Lightning, but their history has been rather rocky since then. The promise of a second album never materialized, and the band eventually dissovled in 1996. 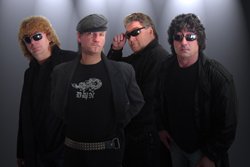 Almost an equal amount of time later, the band regrouped and produced a compilation album of their debut album in 2004 with some demo material, calling it The History. A year later, they released the second album Back in Business; in 2008, another album emerged, Metal Style. 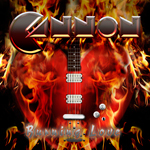 It took twice as long but Cannon returns with their fourth album, Burning Love. Cannon: somebody forgot their shades. There's a certain familiarity to Cannon. Much of this is due to Mat Rein Jaehnke's Brian Johnson meets Udo raspy vocals. 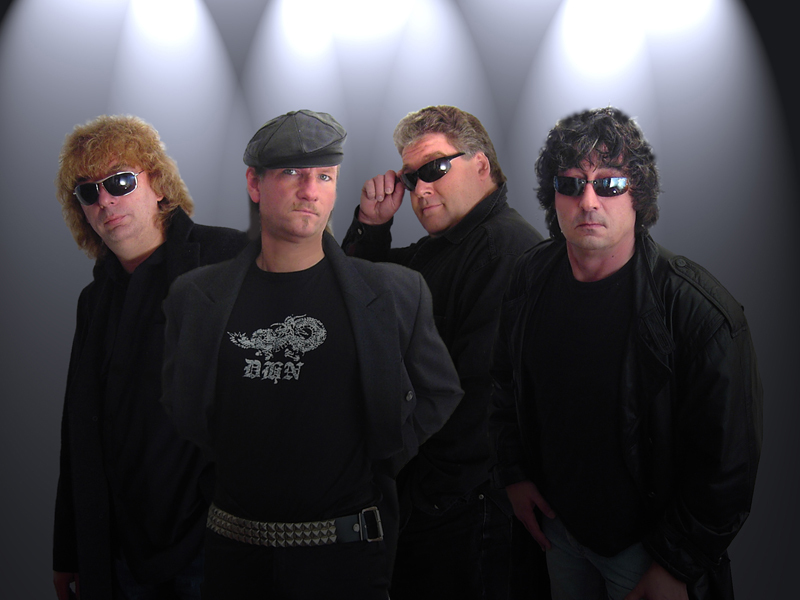 Adding their musical style, they could be compared to Eighties Accept or the Udo Dirkschneider spin off. However, their 'metal' seems more tame than either band. Alternatively, that statement could be a moot point. Songs like Cold Morning or Holy Devil do not lack for heaviness, and songs like Guradian of the Night or Run for the Life, for both speed and heaviness. Also, they can bring a nice hard rock groove when necessary as on Hold Me Love Me. Then there's a metal anthem or ballad in Goodbye. It may simply be enough to call melodic heavy rock. Regardless, Cannon's sound varies little; it is what is, and you get what you get. Recommended if you liked all their other material. With Burning Love, Cannon stays consistent and on course, sounding like a melodic metal doppelganger of that other German band, Accept.